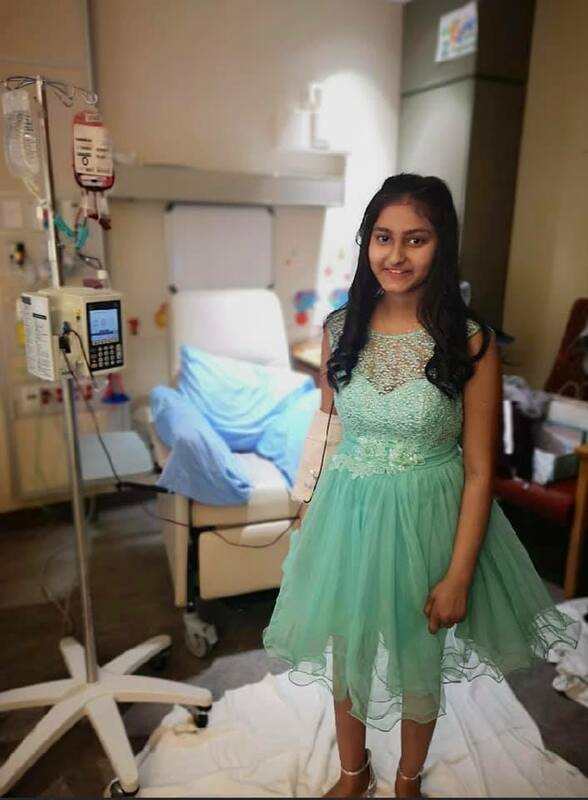 A 13-year-old Peterborough girl named Kristey has been staying at PRHC frequently during hospital treatments. This has made it very difficult for her to shop for a dress to attend her Grade 8 graduation. So Peterborough does what it does, stepping up with generosity and love to bring the dress to her. PRHC posted a heartwarming story on their Facebook page that is getting hundreds of shares about how staff in their Pediatric Outpatient (POP) Clinic reached out to Shelby Leonard-Watt, owner of S.O.S Save Our Soles in downtown Peterborough, for help with selecting a dress for Kristey. Shelby not only showed up to PRHC on Tuesday (April 23rd) to help Kristey find the dress of her dreams after trying on several, but also generously donated it (plus a pair of matching shoes!) at no cost. ﻿Time and time again, this community shows how kindness and empathy wins. This was another prime example of that. Well done PRHC and Shelby. Kristey, have a great graduation! Brock Mission is a homeless shelter in Peterborough for men that includes sleeping, dining and program areas. A new modern facility is being built on the existing property on Murray Street where the old building was housed, that is slated to open late 2020. Lett Architects is designing it and has released renderings of the project. Lett says the three-storey building has been designed around a courtyard with access to natural daylight into every room and corridor. The building will accommodate 32 shelter beds and 15 independent living units, of which 25 percent are fully accessible. The building also includes a dining hall which will provide three meals a day all year. The Lett Architects team is providing the most inclusive, home-like and durable building with a high level of energy performance, exceeding the 2015 National Energy Code by 28 percent. Critical to the success of the project has been the ability to meet tight budgets and schedules as the Brock Mission has been without a true home to call their own for some time. Watch this video to learn more about the project…. 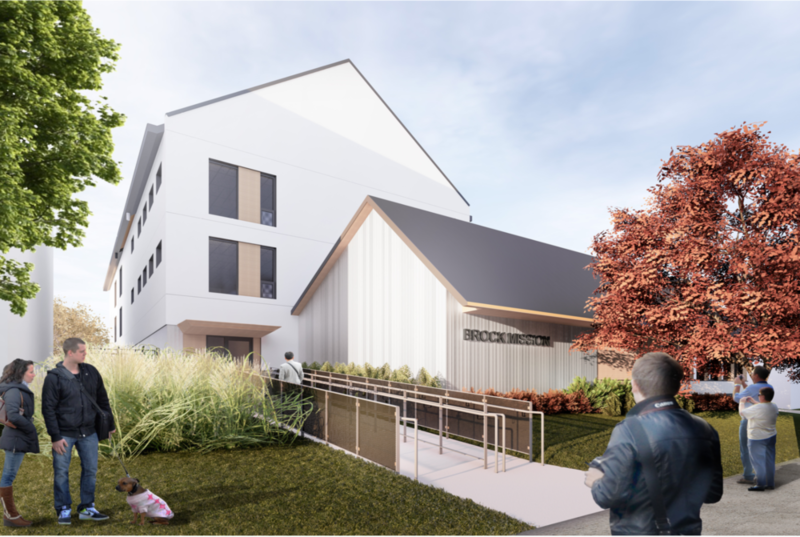 The new Brock Mission shelter is slated to open its doors in November 2020. 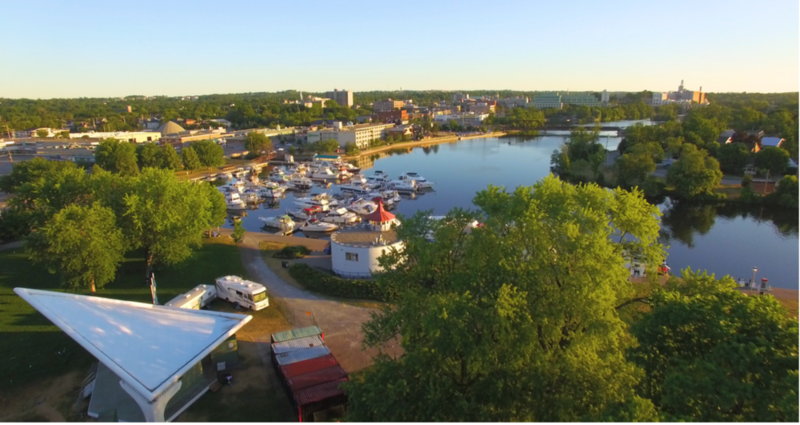 The rest of the country is figuring out what Peterborough residents have known for a long time: We live in a great communty with all the amenities—and rivers, lakes and green space all around us. Indeed, Peterborough was listed as Canada's fastest growing city by Statistics Canada with a 3.1 per cent increase, followed by Kitchener-Waterloo at 2.6, then both Ottawa and Windsor tied at 2.5. According to Statistics Canada, more than seven in 10 Canadians live in an urban area—and the five fastest growing census metropolitan areas are all in Ontario, with Peterborough being Numero Uno. ﻿Peterborough’s population growth rate per thousand has jumped from 19.8 to 30.5, from 2016-17 to 2017-18. What does all this growth mean to you? Comment on our Facebook page here. In a symbolic act of protection for the Muslim community, hundreds of people formed a human chain around the mosque in Peterborough, Canada during prayer on Friday (March 22nd). This comes one week to the day after a gunman opened fire on two mosques in New Zealand during Friday prayer, killing 50 people. It was incredibly moving to see people there showing their support for the local Muslim association and those around the world. After the tragedy in New Zealand, Peterborough's Masjid Al-Salaam mosque—and others everywhere—are taking safety and security very seriously. The Peterborough Police Service service are keeping a close watch on the premises for protection. 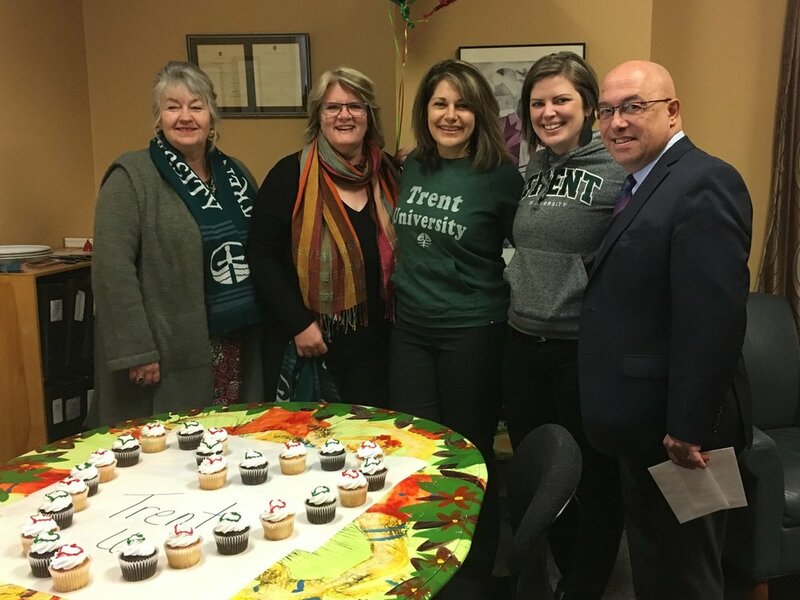 Trent University blew past its United Way goal for a second year in a row. The target was $100,000, and they raised a whopping $114,328. United Way’s Cabinet member Michael Nasello—the Education Director for the Peterborough, Victoria, Northumberland and Clarington Catholic District School Board—was on hand at the United Way office (see picture below) to receive the oversized cheque from Trent University’s Julie Davis, Vice President of External Relations and Advancement, and Trent’s internal United Way committee. “This is humbling and speaks to the quality of educators and educational institutions in Peterborough and their commitment to the community,” says Nasello. Since 1991, employees at Trent University have given more than $1.6 million to United Way of Peterborough and that is definitely something to celebrate. United Way Peterborough will be celebrating its 2018 campaign wrap-up on Wednesday, March 27th from 11:45 a.m. to 1 p.m. at Showplace Performance Centre. 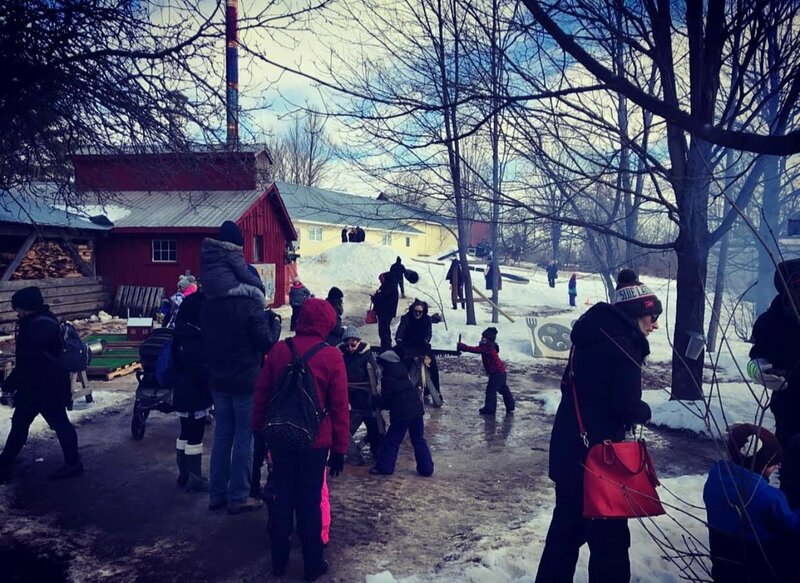 Kind gestures speak volumes about the power of collaboration and community, and there is no better recent example of that then how Central Smith came to the rescue of McLean Berry Farm over the weekend during their popular Maplefest weekend at the farm. “Thanks to the amazing folks at Central Smith Creamery - toffee on snow at maplefest was and is saved! Our regular go to for food grade popsicle sticks discountinued selling them and we were in a panic last week trying to figure out what to do! Luckily our friends at Central Smith went above and beyond and sold us a giant case of popsicle sticks that they use! The idea for a large, free outdoor community rink in the small town of Havelock near Peterborough hatched in David Sharpe from a childhood memory of a rink that was kept on a nearby farm. It inspired this community builder in adulthood to put together a plan to make it happen, and in a matter of months—thanks to a community that rallied around him—that dream is happening. The goal was $5,000 to fund the rink and nearly $4,000 has already been raised—you can donate online here. David, who owns Belmont Custom Cabinetry in Havelock Belmont Methuen (HBM), says he has been inspired by how this has galvanized the community. The hashtag #HBMProud and social media was used to inspire action, and community members have been stepping up to donate money and time. The HBM municipal council graciously lent the Havelock Outdoor Rink Committee the funds to build the rink, which they have 18 months to repay in full—and donations are coming in here by businesses, community members and people from across Canada that go towards construction, operating costs and maintenance. All this goes to show that if you believe in the power of community—no matter the size of the town—and you inspire ideas and rally others around your cause, anything can happen. Including building a magical outdoor rink. For more information about the project, email the organizers here.